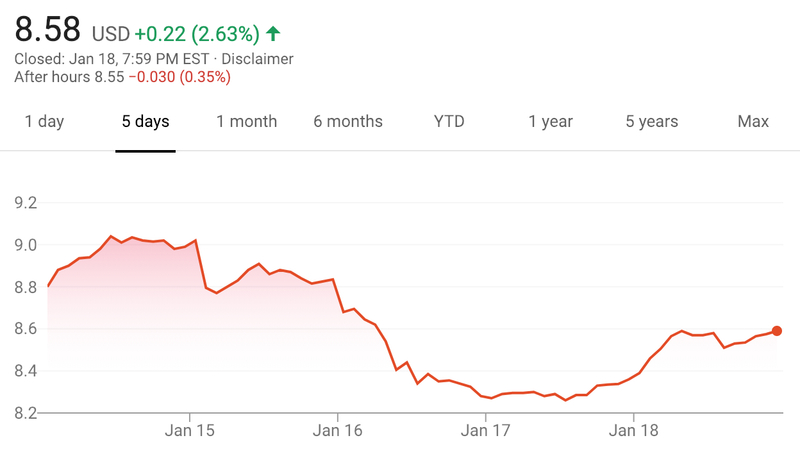 The value of Ford stock fell roughly 3 percent or $0.22 during the January 14th, 2019 thru January 19th, 2019 timeframe, closing the week at $8.58 per share. Overall, it wasn’t a great week for Ford shareholders, considering the 3 percent slide in the value of Ford stock. By comparison, Fiat Chrysler Automobiles experienced slight growth this week, climbing to $16.78. Meanwhile, General Motors shares grew over 3 percent to $38.61 per share. It will be interesting to see how Ford stock fairs in 2019 given the somewhat recent (and potentially drastic) decisions by the automaker to optimize its business performance that include discontinuing all sedans and focusing on more profitable crossovers, SUVs and pickup trucks in North America. Ford is doing wrong to abandon the sedan market. The Fusion is their best selling sedan, and the Hybrid version has outsold the Toyota Prius several times each year. So Ford is giving up and letting the importers decide how do to do their business? ?